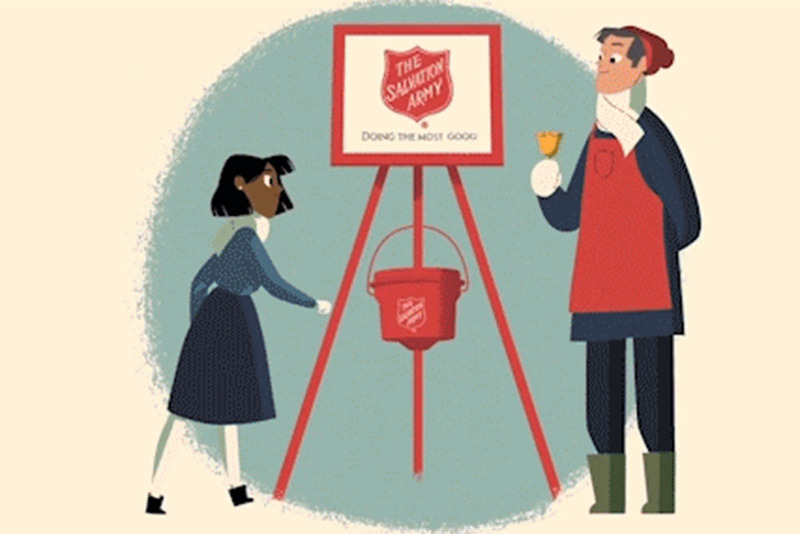 From its humble beginnings with a single crab pot collecting coins, the Red Kettle Campaign has grown into one of the most recognizable, important giving traditions in America. Now every year from November through Christmas Eve, the ubiquitous red buckets can be found outside thousands of storefronts across the country. When you drop a donation into a kettle or give online, you are joining more than a century-long tradition of generosity. In 1891, an empty crabpot was placed outside a San Francisco ferry landing to collect money for the poor, and a movement was born. On Thanksgiving Day, tune into the Cowboys game and watch Grammy Award-winning singer, Meghan Trainor, officially kick off the 128th Red Kettle Campaign during her halftime performance. Join the Fight for Good when you register to ring a bell or donate online.